Why jump in to the pool service business? The Answer: it is exceedingly profitable, has very low start up costs and is easy to learn what to do and how to do it! When your pools sparkle your business shines. It is that easy. Karen, a 26-year old from Houston, Texas was marching down the road to nowhere. She hop scotched from job to low wage job with no game plan. Her sense of self worth was dim at best. So Karen moseyed to the rear of a home to find Harvey (yes, Harvey) down in the pool cleaning its tile. As it turned out, Harvey has been cleaning pools for nearly 37 years using the same methods he started with, elbow grease. Well, Karen started to work that very day. After more than a month of bone weary exhausting work, Karen finally badgered Harvey enough that he bought a basic pool cleaning kit off a Craigslist seller that Karen discovered for negotiated price of $941. In the U. S., according to the Association of Pool & Spa Professionals, there are approximately 371,000 in ground pools and 4,993,000 above ground pools. The growth rate is 6% and 9% respectively. This is a strong growth rate translating into a growing need for quality and knowledgeable people who want to start a pool cleaning business. Obtaining weekly pool maintenance contracts is relative easy to do and becomes the backbone of your business. Your business grows naturally through pool owner referrals. 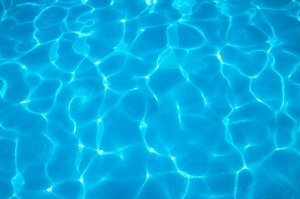 Additional services like vacuuming the pool bottom and sides, exchanging cartridges, if any, and repairing the pool or pool equipment may be made available to your clients through service packages offered at various additional charges. First, offer a range of services that differentiate your pool service business from your competitors. Second, make sure the job you do is the very best that you can do. Talk to your clients. Keep them informed on a one-on-one basis. Your objective is to build relationships for repeated business and for referrals. My mission is to Pay It Forward. I will bring my 40 years of experiences to assist you for free as you consider starting any online or offline business. This is not a trick, a come-on or something to get you to buy stuff. Nope. This is a sincere offer to help. Period. I will never try to sell you something. Just click on my photo if I may assist. Today, Karen owns Specify Pool Cleaning. Harvey works part time with her and otherwise is semi-retired. Karen has a newer model van, has a special knack in marketing her business. Now she has two other part time employees. She is a no nonsense boss holding strict standards, just like Harvey taught her. She is in the process of completing the training program for a Certified Pool Maintenance Specialist offered by the Association of Pool & Spa Professionals. Karen's marketing effort is paying off big time too. Oh, and Karen has found personal direction in her life and is full of energy, enjoying growing her business to its fullness. Thank you for visiting A Pool Service Business.